What did you think of Identifying Correct Use of Period Part 1 ? 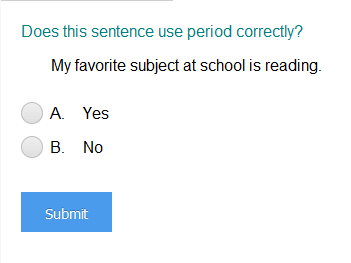 We use a period at the end of a statement. It is sunny and warm outside today.